For a good portion of the session, one of the dominant play frames had been some sort of war play. It tumbled around the darkening playground after maybe starting somewhere indoors with the inspiration afforded by some curvy lengths of train track, which became guns. I don’t know for sure how it started: I didn’t see the actual beginnings — often we don’t, and pinpointing the moment of ‘now’, which becomes ‘everything else’, is difficult. Before this, I had been closely observing, from a high up vantage point, the interactions and attempts at play of one particular older boy. He had annoyed some of his peers on the walk back from school, just by bugging them and pushing their buttons over and over, and when the children got back to the playground, he was still pushing and bugging. Perhaps he needed their attention and any attention is better than none at all. Anyway, I observed him almost exclusively as he wandered around the place, trying and often failing to ingratiate himself into the already established play frames that were taking place. He fell into one, was rejected, bounced off somewhere else, and the cycle repeated. Eventually, after losing track of him for a short while, I saw that he was playing war. He seemed to have found a group and a form of play in which he was fairly accepted. The boys in the play made use of the train tracks (and other parts of the train set as grenades), and then they also used the rods of the old football table, an umbrella, and later cardboard swords and daggers. Some of the girls joined in. The play tumbled around in variations of allegiances and alliances. Inside, early on, I stood at the doorway to the playground, out of the way, and observed how one boy found himself surrounded by three or four others: they all opened fire at once and the boy fell dramatically to the floor. He got up and play carried on. As the war play was taking place, as some children sat around the fire pit in the dark, as other children continued hoarding their office chairs and who-knows-what-else up in the hill-house, I was called over to the hammock swing by three girls. ‘Push us,’ they said. So I pushed and we concocted made-up lullabies (involving fallen baby birds) together. I tried to extract myself every so often, but every time I was called back. ‘Push us more.’ So on I pushed, and on we sung. Extracting oneself from the play is also a difficult thing: do it too soon and the play may break down, or the children may become dissatisfied; do it too late and the latter may also take place . . . Earlier in the week, I was supporting an older girl with her play on the go-kart, which she was using down the slope where the zipline is. I was in service of the play, pulling the kart back up the hill for her. I did contemplate whether I should just say, ‘Hey, you do it’, but the moment was what the moment was. I pulled the kart up the hill for the umpteenth time and she paused to talk with other children. I went to pull the kart up a little farther, and to turn it round for the next ride down the slope, but the girl put her hand up and told me, forcibly: ‘No. You can just sit over there now’, or words to that effect. I felt like I’d overstepped the mark. I was in the play too long, even though I felt like I was in servicing mode. Maybe I was seen as part of the play itself. Back to the hammock swing girls: in attempting to extract myself from the play too early for the children’s satisfactions, I found myself chased and physically pulled back to the swing. A new play frame evolved, and soon enough I was deeply in the play. I found myself variously captured and re-captured, marched off to some prison that the girls were making up the existence of as they went along, and then it felt like I was bridging two play frames at once, without the two really fully merging: the boys’ war play still tumbled around with shots fired and guns and swords interchanging in their hands, even though the objects themselves were the same ones; the girls who had captured me were, I felt, softly trying to be a part of that war play too. At one point I was sat on the tyre swing, in between capturings, and a small group of boys came up to me with cardboard daggers. One put his dagger a few inches to my throat and told me not to move. What struck me immediately was the way that he played it: he wasn’t aggressive in his play, and he was respectful of the distance between his dagger and my neck. He played out his role of the moment and so did I. The girls’ capturings of me evolved into us teaming up against the unknown enemy. At first this was us all running and hiding from one particular boy (whether he knew he was cast as the aggressor, I don’t know). We hid in the shadows of the dark evening on the playground. It felt like the girls were trying to merge into the war play, but it also felt like their play actually ran parallel to it. Then we were clearly not being chased or sought by anyone. Maybe we never had been. The play shifted into swinging on the tyres. A colleague said to me in passing: ‘Playing are we?’ or words like these, and it’s this that made me realise that I was deeply in the children’s play, at their request and need, despite having tried to extract myself from it several times. ‘You be the Buddhist,’ one of the girls had told me, or so I thought I’d heard, in the middle of the depth involvement. Children tend to cast themselves as the ‘goodie’, I find, even when their play actions suggest otherwise. Perhaps that’s some sort of social indoctrination at play: only the ‘goodies’ can win. So, on another level, it’s amusing to think of ‘the Buddhist’ being cast in lieu of ‘the Baddie’. All this is an aside. 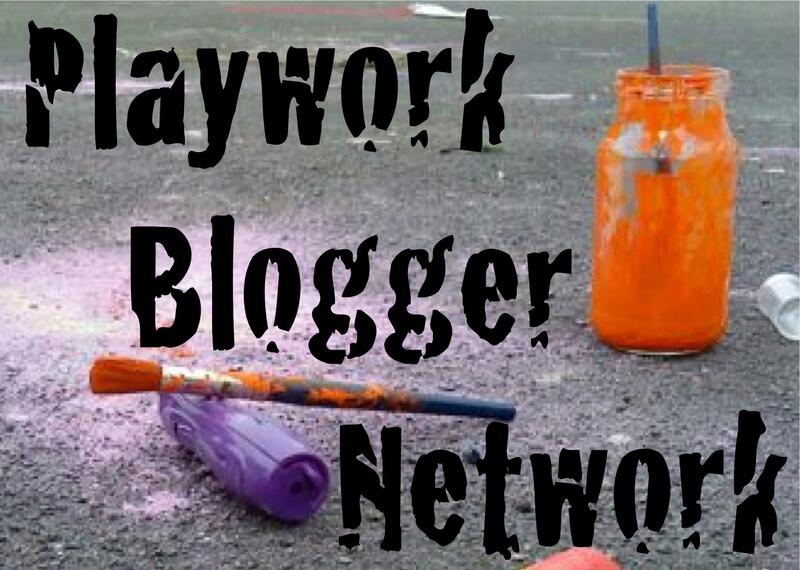 What this post points to most is the war play of the children, to the play frames that come together but don’t quite merge, to the ‘self extraction’ of the playworker from the play, or to the attempts and failures of this, for various reasons. It’s only play, some say. Sure: if you like.